Many people think that the only ones who should be deeply concerned about animals are animal rights advocates. Actually, how we treat our nonhuman brethren also significantly impacts our own human welfare. The widespread abuse of animals harms humans directly in many ways, and tolerating animal mistreatment indirectly undermines efforts to assist vulnerable people. 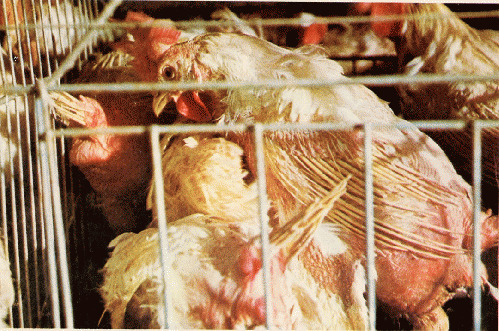 Many of the harmful effects related to modern animal agribusiness are well documented and well known. For example, diets heavily laden with flesh and other animal products contribute to heart disease, obesity, diabetes, certain cancers, and other conditions. Animal-based eating is a major factor in global warming, other kinds of pollution, world poverty and hunger, and antibiotic resistance among bacteria. Indeed, many of the world's leading problems are related to eating animals and animal products. I want to focus on some more insidious and pernicious ways that harming animals in turn harms humans. The spirit of truth is among the first casualties. Those who mistreat nonhumans do their best to hide the facts. For example, seven states have passed "ag-gag" laws that make it a crime for people to photograph or videotape animal treatment in factory farms. 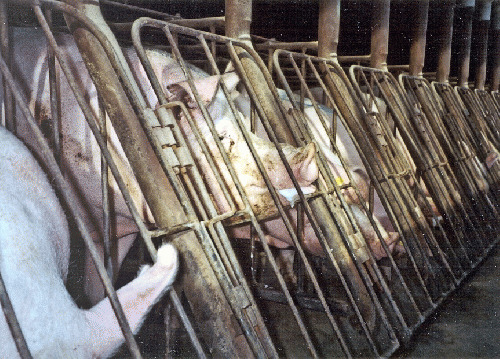 That's because, in addition to documenting widespread criminal cruelty to animals, undercover investigations have shown that "standard animal husbandry practices" (which are exempt from animal cruelty laws throughout the United States) involve systematic, institutionalized abuse of billions of farmed animals each year. Factory farmed animals experience unrelenting pain and misery from birth to death. (See, for example, www.mercyforanimals.org or "Meet Your Meat". Even the small fraction of animals raised "humanely" still routinely suffer mutilations without pain relief, deprivation of many natural needs and desires, and violence and terror associated with transportation to and death in slaughterhouses. As best I can tell, the main reason people don't know more about animal abuse is that they prefer a blissful state of ignorance. Whenever I leaflet with literature about factory farms, dozens of people say they don't want to know. Perhaps they fear that this knowledge will conflict with their desire to consume flesh and other animal products. Does this not parallel one of the main impediments to confronting global warming? People seem to resist inconvenient facts. This will always be a challenge to effective action, but intellectual, spiritual, and political leaders can make a difference if they speak the truth frequently and forcefully. Of course, many "leaders" pander to the desires of the public. That's why every culture needs brave, selfless people who provide the prophetic voice of speaking "truth to power." Their voice is invaluable in times of crisis. Often, theirs is the only voice that victims of our society have. Most prophets emerge from the ranks of disenfranchised people. However, when it comes to animal issues, nearly all humans are in positions of power. Just as powerful humans are tempted to mistreat weaker humans, weaker humans find it tempting to mistreat or ignore the suffering of even weaker nonhumans, for several possible reasons. First, and perhaps foremost, many people like the taste of flesh and other animal products. Also, many who want to defend animals remain silent out of fear of offending meat-eaters and those whose livelihoods are derived from animal exploitation. The recent documentary Cowspiracy shows how environmental groups have ignored the massive environmental impacts of raising animals for food rather than risk alienating their donors and dues-paying members. Finally, among activists, it might be more satisfying to advocate on behalf of grateful humans than voiceless animal victims who could never revere them.